As Mobile World Congress in Barcelona draws near again, you know that 5G will be on people’s lips. So Jeremy Cowan of IoT-Now.com asked Chris Pearson, president of 5G Americas to shed some light on what the advent of 5G will mean to all of us. 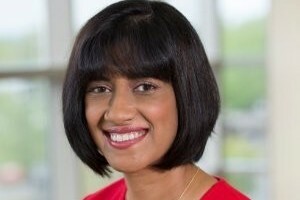 IoT-Now.com: Which industry sectors will benefit most from 5G (e.g. Automotive, Retail, Media & Entertainment, Manufacturing, Energy & Utilities, etc.) and why these ones more than others? Chris Pearson: All sectors could benefit from 5G as it will introduce a new cycle of innovations for most all of the sectors. As an example, a smart city connected by 5G could benefit almost everyone that lives in that city through better traffic management, less energy utilised, public safety and overall improved productivity. Chris Pearson: There is not one singular motivation for investing in 5G networks. Overall, the investment in 5G will be to increase the capabilities of cellular wireless networks to increase the connectivity solutions in society and better manage Capital and Operating expenditures as the industry delivers more information faster, with lower latency to address many new vertical markets. 5G introduces a new cycle of innovation in connectivity. IoT-Now.com: What are the barriers to adoption of 5G for communication service providers and IoT service providers in the Americas? Chris Pearson: The key ingredients for progressing 5G is availability of more licensed spectrum and the density of the cellular networks. Governments should work toward providing more licensed wireless spectrum and streamlining cell siting regulations. As of now, the IoT mobile wireless market has great solutions with LTE through the latest standards released by 3GPP (3GPP Release 13) called LTE Narrow Band IoT and LTE Cat M1. However, the IoT standards in 5G will take the industry from hundreds of millions of connections to billions of connections. Billons of connections will serve all types of use cases that require a new standard that builds on the success of LTE. 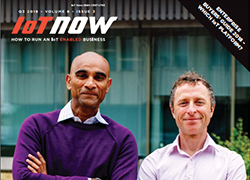 IoT-Now.com: How will LTE be transformed by NFV and SDN? Chris Pearson: NFV and SDN are key enablers for the continued transformation of LTE networks. LTE continues to improve to LTE-Advanced and LTE-Advanced Pro. NFV and SDN provide new efficiencies in mobile operator networks for today’s 4G networks while preparing them for 5G. 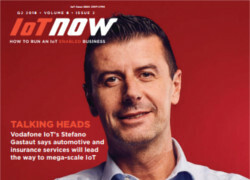 IoT-Now.com: In which markets in North America, Latin America & the Caribbean will we see the first benefits of 5G, such as faster data speeds, lower latency and increased bandwidth? Chris Pearson: Based on public announcements as of January 31, 2018, it is expected that a few U.S. operators will introduce 5G communication services in late 2018. However, it is expected that 2019 and 2020 will be path-breaking years for the deployment of 5G on a wider basis in the U.S. Historically, Latin America and the Caribbean will deploy new generational technology standards a few years after the U.S. commercial deployments. IoT-Now.com: What further progress is needed in Cellular IoT standards? Chris Pearson: The Cellular IoT standards have made great progress in meeting the market needs and market use cases of customers. LTE-Cat 1 is a great solution, but it was apparent that the market required additional standards to address the Low Power Wide Area Network (LPWAN) opportunity. Thus, LTE Cat-M1 and LTE Cat-NB1 were developed rapidly by 3GPP to address the LPWAN use cases. However, as the industry moves to 5G commercial deployments, it is imperative that the 5G standard fully provides a network architecture that can serve not just hundreds of millions of devices, but billion of devices. I am confident that the 3GPP standards organisation will be able to develop the 5G standard to meet the Cellular IoT needs of customers in the Americas and rest of the world.